Can leftover spaghetti really kill you? Can you actually cough up a blood clot in the shape of your lung? In Yahoo Lifestyle Canada‘s newest series, What The Health? !, we ask doctors to weigh in on odd health news stories and set the record straight. Be sure to check back every Friday for the latest. 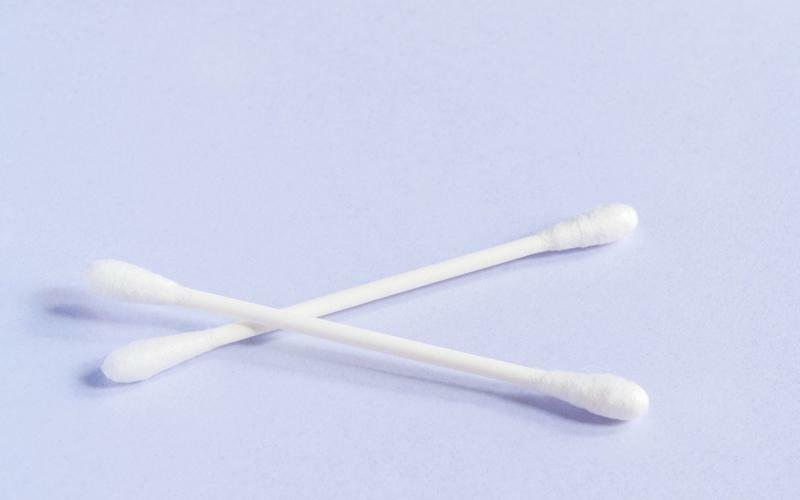 The next time you go to clean your ears, you might want to think twice before sticking a cotton swab in them. An otherwise healthy 31-year-old man in England did just that and ended up with a severe infection of the lining of his brain. According to the medical journal BMJ Case Reports, the tip of a cotton swab got stuck inside the man’s left ear. It’s not clear how long the object had been lodged in there, as the man reported having pain in his ear and hearing loss over a period of five years. But things took a turn for the worse when he started experiencing more constant pain, discharge from the ear, memory problems, and headaches on the left side of his skull so intense that they made him vomit. ALSO SEE: What The Health?! Whoopi Goldberg says she came 'very close' to death after developing sepsis - but what is it? Ten days later, he wound up in a Coventry hospital after having a seizure and collapsing. A CT scan revealed two abscesses—swollen areas filled with pus—in the bones at the base of his skull near his left ear canal. The diagnosis? Necrotizing otitis externa, an infection that spreads from the outer ear to nearby tissue and bone. “Necrotizing” refers to the death of living cells or tissues. In this case, the bacterial infection started in the man’s ear canal, progressed into the bone at the base of his skull, then moved upward to the meninges—the lining of his brain. During surgery of the patient’s ear canal, doctors found a tip of a cotton swab surrounded by wax and debris. Dr. Alexander Charlton, lead author of the BMJ study and an ear, nose, and throat specialist who helped treat the man, surmised that either pressure on the brain from the infection or toxins from the bacterial infection caused the seizure. Treatment involved two months of intravenous and oral antibiotics. ALSO SEE: What The Health?! Did this 25-year-old contract a rare autoimmune disorder from a cat? The man didn’t have any lasting neurological or hearing problems, but he did leave the hospital with some advice: never use cotton swabs in your ears. Dr. Desmond A. Nunez, associate professor and head of the division of otolaryngology’s department of surgery at the University of British Columbia, agrees with that recommendation. Although says that this kind of infection is extremely rare, especially in someone who’s otherwise healthy, Nunez says it’s never a good idea to stick something into the ear. “This [infection] would be more commonly associated with a disease state where the individual’s immune status is compromised,” Nunez said in an exclusive interview with Yahoo Canada. “But never say never in medicine. Inserting a Q-tip inside the ear can force wax to go deeper into the ear canal instead, potentially affecting hearing. Ear wax (“cerumen”) is a natural, waxy oil that protects the ears from debris, dust, dirt, microorganisms, and insects. Removing it prevents the body from doing its job. Besides potentially leading to infection, the use of cotton tips can also cause punctured eardrums or impacted ear wax. The latter can trigger dizziness, ringing sensation in the ears, pain, and hearing loss. Plus, the inner ear is very delicate, and inserting anything can cause bleeding. ALSO SEE: What The Health?! Woman dies after eating at Michelin-starred restaurant — but were mushrooms really to blame? While the BMJ case described an infection of the outer ear, infections of the middle ear are more common, Nunez said. And complications of ear infections in general are more likely to include vertigo than abscess. Changes in neurological function are another possible effect; an infection could spread into the part of the ear canal that contains the facial nerve, for example, leading to palsy, or weakness of the facial muscles. Meningitis is another potential complication. The inflammation of the lining of the brain can leave people with hearing loss, balance problems and seizures. Patents typically come to see Nunez because of hearing problems and recurrent discharge (liquid coming out of the ear). These infections can happen in any age group but tend to be more prevalent in children. Still, Nunez said people should see a doctor when certain signs appear. Let us know what you think by commenting below and tweeting @YahooStyleCA! Follow us on Twitter and Instagram.